These both arrived in the letterbox yesterday – my first letter from my nine-year-old niece, and roughly my 900th letter from my 90-year-old aunt. 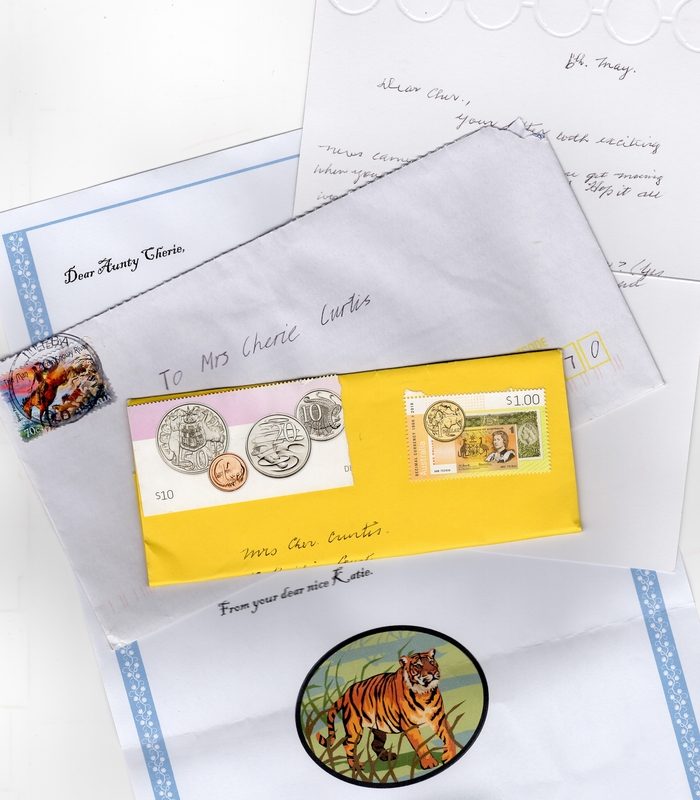 Snail mail is one of my greatest treasures and I’m delighted my niece and nephew have discovered the same joy of letters that my aunt shared with me from a very young age. Absolutely! I think we should rename that postage to Snail Bills.